With anxiety in any situation and it takes over? Frustrated to get things done or your point across? Angry with what is happening around you? It happens to allot of people. Unfortunately when that happens you usually lose control of the situation, be it with your kids, colleagues, partner or the people serving you. In that situation, with you out of control, there is only going to be one loser, that is you. So let’s look in the mirror. 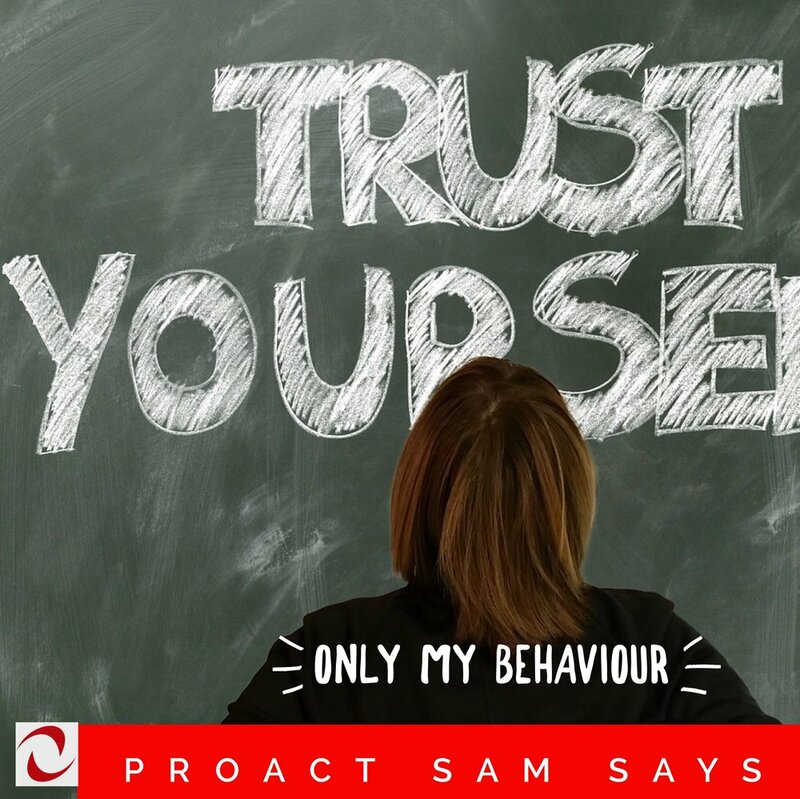 Consider that one of the issues that lead to you losing internal control is trust. Trust always starts with you. When you get into a stressful situation , do you feel and sense the emotions and reactions coming on? Do you trust yourself enough to let them go? Could you trust yourself? To be aware of your emotions, and choose to remain focused within on your breathing, or your physical feelings: the earth beneath your feet, the breeze blowing gently around you, the sun warming your body. This notion is a way of using the 5 second rule. The 5 Second rules says that when you have an idea, if you don’t act within 5 seconds the thought is gone, you will never do it. This rule is designed to turn daydreams and procrastination into action. Lets flip it around and use the 5 Second rule to identify the emotional feeling building inside us to Stop the Reaction, to stay in control of the situation. Trusting yourself to stay in control is a positive way of using the 5 second rule. If you have a thought to emotionally react then use the space of 5 seconds to breath and choose not to act. To choose that this is your time and your moment. That you will retain control of the situation. That needs you to trust your self to figure it out and get the job done. Only you can start that trust in yourself.